What is the Amazon ASIN Number? An ASIN, or Amazon Standard Identification Number, is a unique identifier for each product on Amazon. It is made up of 10 characters comprising letters and numbers and is Amazon's own system for managing its huge catalog. What Are ASIN Numbers and Where Can You Find Them? The Amazon ASIN for books matches the book’s ISBN number. ISBN stands for International Standard Book Number and is a unique barcode for every commercially available book. Products other than books are given an ASIN number when they are first uploaded to Amazon. You can find the ASIN on the information page of a product under the Product Information section of the listing. Under the heading Additional Information, you will see the ASIN. You can also see the ASIN in the URL of a product. Have a look at the URL and product listing for the Breitling Avenger II watch as an example. Every retailer selling the Breitling Avenger II watch should use the ASIN B00PQY7TJA in their listing. One thing to note, however, is that ASINs are not always global. For example, a product listed on Amazon.co.uk might have a different ASIN to the same product listed on the US version of the site, Amazon.com, or even Amazon.de. In other words, ASINs are marketplace specific. As already mentioned, Amazon's catalog is huge. Critical to its success, however, is helping shoppers find what they are looking for quickly and without hassle. It is only possible to do this when the catalog has a proper referencing system in place. This is what the ASIN number system does – it references the Amazon product catalog. For shoppers, ASINs improve the user experience whether they are browsing through categories or searching using the search box. For sellers, ASINs ensure your products appear for relevant customer searches. Look at the above example of the Breitling Avenger II watch. If you sell this watch but do not use the correct ASIN, your product listing will not appear when shoppers looking for this watch. In other words, you will lose sales if you don't use the correct ASIN. 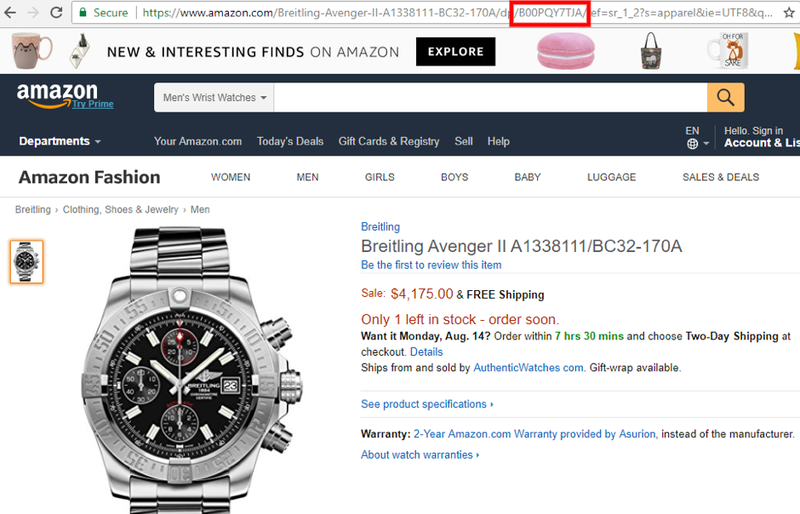 Amazon also uses ASINs to help prevent counterfeit sales of brand items. It does this by brand gating. Under the scheme, brands can apply to have their products protected with brand gating. This is done by ASIN number. Anyone wanting to sell a product with an ASIN that is protected will have to get permission. There are usually also additional fees for sellers wishing to sell items protected by brand gating. Finding ASINs can be a laborious task, particularly if you have a lot of products. Tools like DataFeedWatch makes this process easier and substantially quicker, as it finds the Amazon ASINs for your products using your existing product identifiers. This will usually be a GTIN (Global Trade Item Number), but can also be an ISBN, UPC (Universal Product Code), or EAN (European Article Number). What If There Is No ASIN? You will find an Amazon ASIN for just about every existing product – if someone has sold or tried to sell the product on Amazon before, it will have an ASIN. However, if you are a product manufacturer, and are uploading a new product to Amazon for the first time, you will need to create an ASIN. You will need a product identifier to do this, like a GTIN or ISBN. If you don't have a unique product identifier, you will need to get one first. 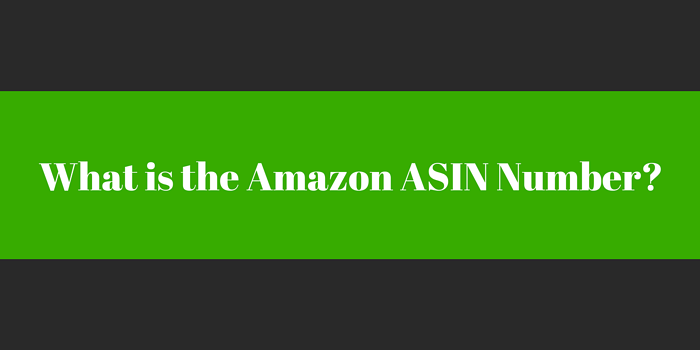 Understanding ASINs and using them properly is essential to being successful on Amazon. In fact, all other strategies hinge on you getting the ASIN right. After all, there is no point having a fantastic product listing if you use the wrong ASIN.